LITTLEROCK – When Larry Vene went to prison 15 years ago for a drug conviction, he didn’t expect the path to his dream job would be through sewage. Thanks to the training he received through Cedar Creek Corrections Center’s wastewater treatment plant program he became a plant operator after his prison release. It’s a job he’s had for 10 years — the past four and a half of which were at the very prison where he was previously incarcerated. Vene ensures the plant is in top condition to filter and process an average of 40,000 gallons of wastewater daily. He also trains nine incarcerated men who help run the plant and the prison’s on-site compost facility. Compost is used in gardens to grow food that is donated to local food banks as part of the Sustainability in Prisons Project (SPP). 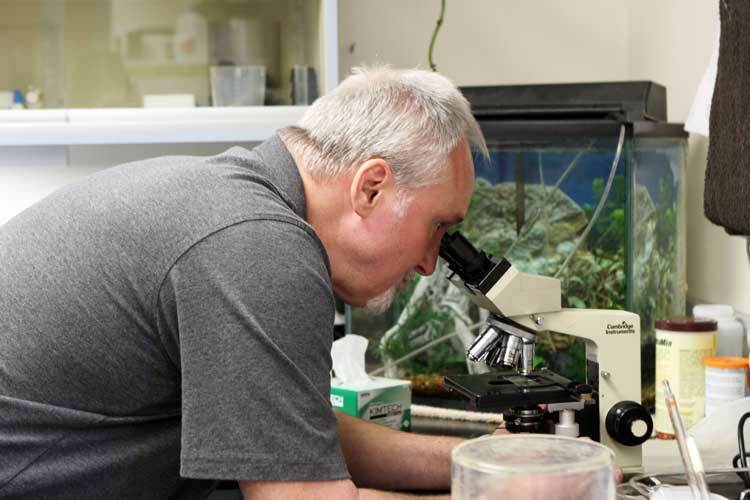 The project is a partnership founded by The Evergreen State College and the Washington State Department of Corrections that allows incarcerated people to lead science and environmental sustainability projects at state correctional facilities. “These education and training programs not only support good environmental stewardship, but also invest in individuals to help reduce recidivism and improve community safety,” said Kelli Bush, co-director of SPP. 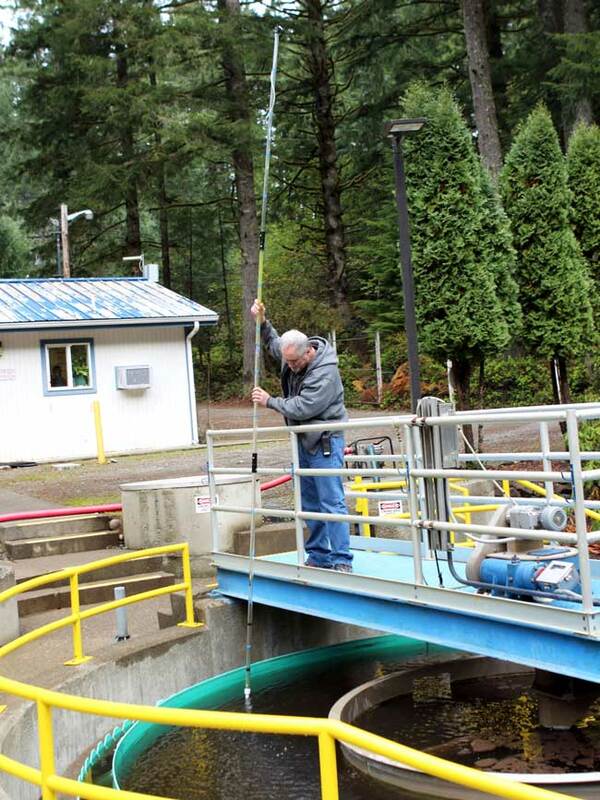 Four men’s correctional facilities in Washington state run on-site wastewater treatment plant operator programs. The program is not available at other state prisons because wastewater at those facilities is processed by local municipalities. Incarcerated men who learn the trade have the potential to earn a good wage after they are released. In Washington state (pdf), wastewater treatment plant and system operators earn an average of $63,087 annually. Incarcerated men who want to become wastewater treatment plant operators spend $115 of their own money to enroll in a University of California correspondence course and purchase course materials. While completing the correspondence work, they receive hands-on training at their prison’s wastewater treatment plant. They learn to collect and test water samples, compile and interpret data, and operate and repair equipment. They learn about the chemical process required to disinfect and deodorize water. They also develop communication and management skills by directing and coordinating other plant workers. Additionally, they can use what they have learned to earn certifications from the Washington State Department of Ecology. Since 1998, 305 incarcerated men in the state have earned a wastewater treatment operator Group I certification or higher, which requires at least one year of associated experience. Vene said earning a wastewater treatment plant certification was crucial in helping him convince employers to hire him, despite his criminal record. Vene struggled to find consistent work after his release in 2006. For more than a year, he got by with odd jobs in Grays Harbor County — hauling appliances, factory work, and a service job at a low-voltage cable company. 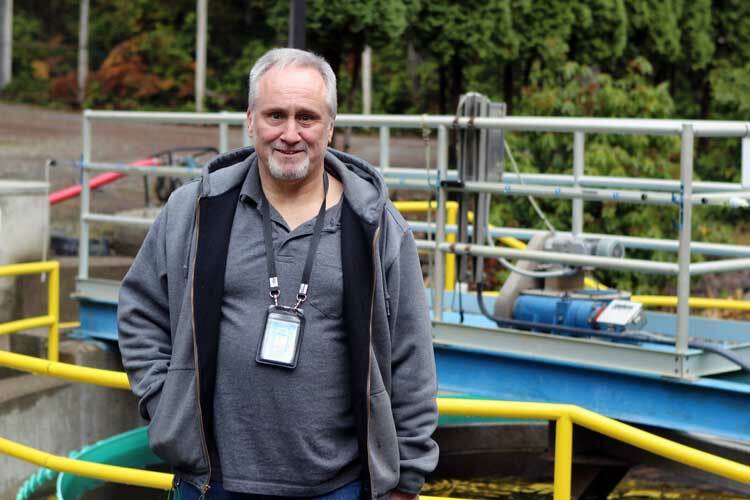 Once, he made it through a first screening for a job at a treatment plant in Thurston County. However, the hiring manager ultimately didn’t hire him because “he said his superiors didn’t think I had enough time on the outside to prove that I was not going to reoffend,” Vene recalled. Later, he interviewed for a job at the wastewater treatment plant in Shelton. His potential boss had a meeting with the crew to see how they felt about working with someone who had been incarcerated. A week later, he got the job offer. During Vene’s tenure, the City of Shelton’s plant received a series of multimillion-dollar upgrades and construction. He said it helped him strengthen his skills by mastering many emerging technologies in the wastewater treatment field. Vene planned to work at the Shelton plant until retirement. But in 2013 the wastewater treatment plant operator at Cedar Creek Corrections Center retired. Vene applied for the job. To ensure agency and public safety, corrections examines several factors when considering hiring a formerly incarcerated person. The agency looks at a person’s entire criminal history, including the type and severity of the crime committed. The agency also considers the length of time that has passed since the conviction and a person’s age at the time of the crime. The applicant also undergoes the same background checks required of all state employees. Once hired, the applicant receives the same safety and security training required for all correctional staff. Vocational education programs like wastewater treatment are an example of measures Corrections is taking to support Gov. Jay Inslee’s data-driven Results Washington Initiative on Healthy and Safe Communities. The department has a goal of increasing employment for adults released from incarceration from 30 to 40 percent by the end of 2017. As of the end of 2016, the most current data available, the percentage of people employed after being released was 35.4 percent. Researchers with the National Institute of Justice have found recidivism rates among incarcerated people who participate in correctional academic and vocational education programs are often reduced. Vene says becoming a wastewater treatment plant operator is the best thing that ever happened to him. He saved enough money to buy a house. He improved relationships with his two adult children and 16-year-old son. He has also seen several men he trained find meaningful jobs following their incarceration. Story previously posted by the Governor's Office on January 18, 2018.